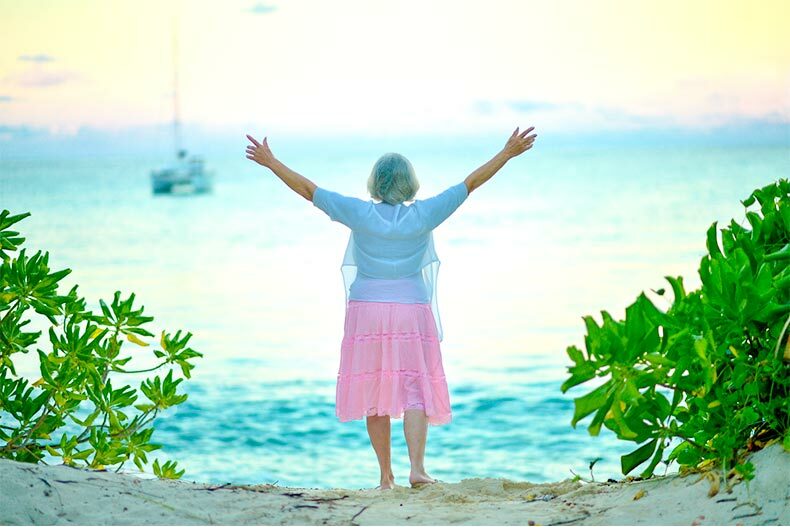 Here are three great 55+ communities that cater to single active adults. For single active adults in Houston, one doesn’t have to be the loneliest number. Half of Americans admit to feeling lonely, according to a recent Cigna report, with only 53 percent of people saying they regularly have meaningful face-to-face conversations with friends or family members. Loneliness is an epidemic, especially for those who don’t live with someone else. Luckily, Texas’ largest city is home to a variety of 55+ communities that provide an engaging and fun way of life for single adults. Whether active adults want to meet some new friends, get more involved in their neighborhood, or open the door to new relationships, Houston stands out as one of the best places to retire in Texas for its many singles-friendly options. Here’s a look at some of the best Houston communities for singles. Single active adults can jump right into the vibrant social scene at Del Webb Sweetgrass. This 55+ community in Richmond offers residents a variety of clubs, classes, and events to make the most of every day. Whether homeowners are interested in art, investment, gardening, or cards, they can connect with like-minded others and establish meaningful friendships. With an on-site activities director, there’s always something fun and different to enjoy, from heart-thumping fitness programming to exciting community-wide events in the ballroom. In downtown Richmond and Sugar Land, singles can explore an enticing array of restaurants and entertainment options. For a fun night out with a new friend, the Gulf of Mexico offers deep sea fishing tours and dinner cruises. Del Webb started this active adult community in 2011, offering 23 single-family floor plans. Upon completion, Del Webb Sweetgrass will contain 1,500 homes that range in size from 1,109 to 3,800 square feet. True to the Del Webb name, floor plans blend the traditional with innovative style, with premium lots offering water views or greenspace views. Single active adult homebuyers seeking homes for sale in Texas will delight in Bonterra at Cross Creek Ranch. This 55+ community in Fulshear contains not only picturesque homes but also a warm, welcoming atmosphere that makes it easy to bond with others and spark new relationships. Situated within the master-planned Cross Creek Ranch community, Bonterra at Cross Creek Ranch offers a variety of activities, including billiards, arts and crafts, social events, and holiday parties. Active adults who sometimes feel lonely can join in the fun, whether they pick up a new hobby, mingle with fellow dog owners at the dog park, or get some exercise on the pickleball or bocce ball courts. Golf enthusiasts can stay active at the nearby Weston Lakes Country Club, which offers an exquisite par-72, 18-hole course. This age-restricted community even offers a massage room, allowing active adults to play hard and then unwind and relax. Upon completion, this 55+ community will contain 700 single-family homes that are available in three design collections: Landmark, Summit, and Pinnacle Series. Home sizes range from 1,582 square feet to more than 3,000 square feet, allowing single active adult homebuyers to select a home that’s the right size for their needs. Single active adults don’t have to contemplate how they’ll enjoy a sunny day or a Saturday night when they live in Heritage Towne Lake in Cypress. This age-restricted enclave of the master-planned Towne Lake community offers a robust lineup of indoor and outdoor activities to suit nearly all interests. A full-time activities director gives singles plenty of opportunities to meet other people, whether it’s a bus trip somewhere fun or an action-packed night of line dancing. In the 16,000-square-foot clubhouse, residents can enjoy a variety of amenities designed especially for active adults. From an elegant ballroom and well-stocked library to a fitness center and hobby and game room, homeowners can pursue their favorite activities and make some new friends in the process. Outdoor enthusiasts will especially appreciate all that Heritage Towne Lake has to offer. This age-restricted community contains an outdoor pool, walking and biking trails, and plenty of fishing and boating activities in and around Towne Lake. When searching for homes for sale in Texas, single active adults can discover the perfect style and size to fit their budget in Heritage Towne Lake. This resort-style community offers homes ranging in size from 1,553 to more than 3,000 square feet.